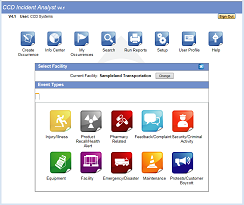 IA-v4 includes an extensive set of features and functions that make event reporting and management intuitive for users while allowing complete customization without programming. Our system will support both ‘anonymous’ report creation and ‘identity reporting’, which requires users to log in before they can create an event. Because IA-v4 runs as a web application, all authorized staff have access using their preferred browser. The IA-v4 application is usually installed onto a regional or facility in-house website thereby protecting it from public access. The software can also be installed using SSL certification to apply an additional level of encryption to the data moving between the server and workstations. When an event is recorded, email notifications are sent to management located throughout the organization. Notifications follow the department hierarchy, thereby only involving those that need be. To determine whether a department’s function (i.e. supervisor) needs to be notified, the system considers the location where the incident occurred, along with its severity and confidential status. Any number of functions can automatically be notified as the event enters each phase.